Looking for a quick, warm and delicious dinner to make this holiday season? 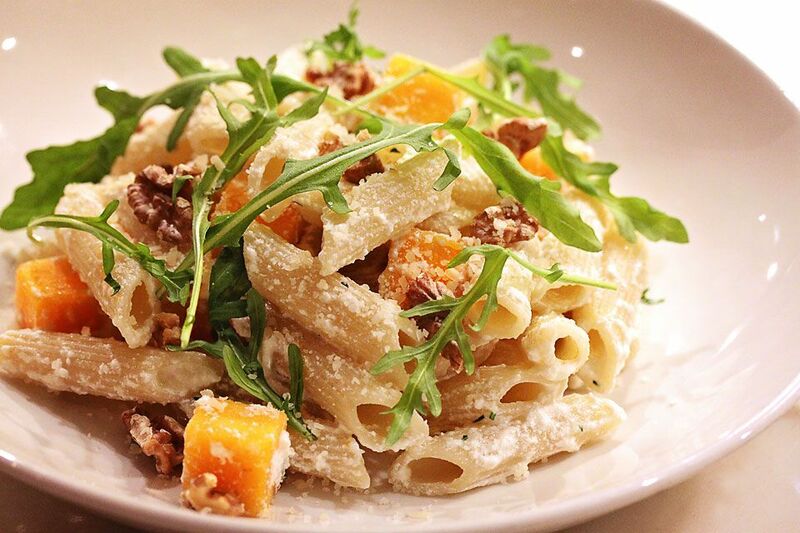 Try Executive Chef Kurt Spataro’s Penne with Ricotta & Winter Squash! This vegetarian pasta dish is both flavorful and filling. Toss the squash with a little olive oil and a pinch of salt. Bake in a 350-degree oven until tender, about 30-40 minutes. Warm the olive oil in a sauté pan, add the garlic and cook until fragrant. Add the squash and stir well. Add the cooked pasta, ricotta, and arugula. Season with salt and pepper and toss to incorporate the ingredients. Add a few tablespoons of the pasta cooking water and a little more olive oil to make a creamy sauce that just coats the pasta. Garnish with chopped walnuts, freshly grated pepper and Parmesan.